عندما تزور جولد كوست, ستشعر أنك في بيتك في K Resort Surfers Paradise الذي يقدم لك إقامة متميزة و خدمات عظيمة. يقع مركز المدينة المثير على بعد 0.5km فقط. يوفر الفندق بفضل موقعة الجيد وصولاً سهلاً إلى أهم معالم المدينة.
. يقدم K Resort Surfers Paradise خدمات لا غبار عليها وكل أشكال اللياقة وحسن الضيافة اللازمة لإسعاد ضيوفه. إن خدمات بريدية, خدمة سيارات الأجرة, خدمة حجز التذاكر, تسجيل وصول/خروج سريع, تخزين الأمتعة هي جزء فقط من الخدمات التي تميز K Resort Surfers Paradise عن باقي الفنادق في المدينة. استمتع بوسائل الراحة الراقية في الغرف أثناء إقامتك هنا. بعض الغرف تتضمن مكيف هواء, شرفة/ تراس, تليفون, مروحة, تلفزيون لمساعدتك على استعادة طاقتك بعد يوم طويل. سواء كنت من محبي الرياضة أو كنت تتطلع لتفريغ عناء نهار صعب، ستجد خدمات ذات مستوى عالي بانتظارك كمثل حوض استحمام ساخن, شاطئ خاص, حمام سباحة خارجي, حديقة, غرفة ألعاب. 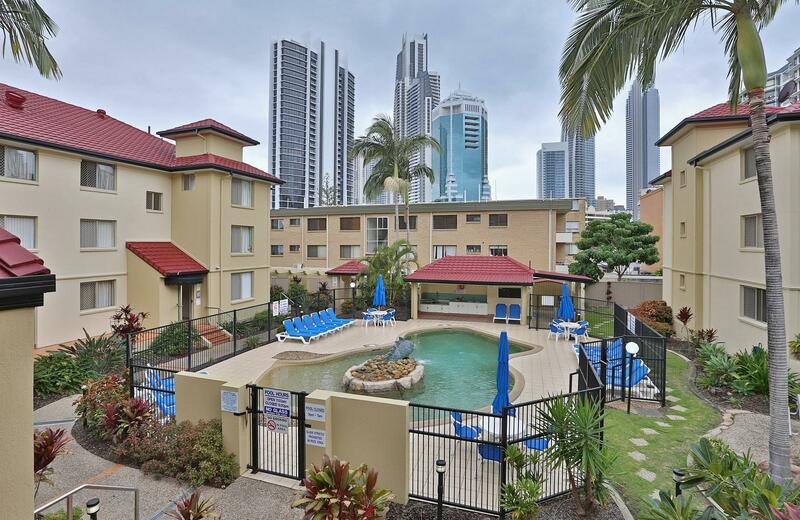 مهما كانت أسبابك لزيارة جولد كوست، فإن K Resort Surfers Paradise هو الخيار الأفضل لإقامة مثيرة وممتعة. يـُرجى ملاحظة أنه يتم تطبيق تكلفة إضافية بنسبة 2% عند الدفع بواسطة بطاقتي ائتمان فيزا وماستركارد. يُرجى ملاحظة أن هذا الفندق لا يقبل الدفع بواسطة بطاقتيّ ائتمان أمريكان اكسبريس وداينرز كلوب يرجى ملاحظة أن التكييف متوفر مقابل تكلفة إضافية. Great location. Just short walks to Cavill ave. But the beds were old and worn. One futon was busted and the springs were non existent. Couldn’t get dryer to work and a few times we lost water. Also there’s some noises from the pipes to other rooms. But for around $950 for 8 knights in a 2 bedroom apartment it was good enough. Had aircon and a nice view. Was well and truely over stairs at the end though(no elevators). If you’re after somewhere flash and nice look elsewhere. But if you just want somewhere to store your luggage and sleep, as we do, this place isn’t too bad. Trying to get a blown light bulb in the main bathroom which had no natural lighting took 4 phone calls on the afternoon we checked in and we were still waiting for this to be done 2 days later when we checked out. The fridge had not been wiped out from previous people and the shower in the ensuite needed a good clean with bleach. Great location. Good kitchen and laundry, cheaper. Very very old place, not clean at all, leaking shower, doors falling apart, no service , even u have to ask for bin bag, take care of Ur own rubbish, no bins in the room, beds with wheels moving around. I will definitely not recommend this place. 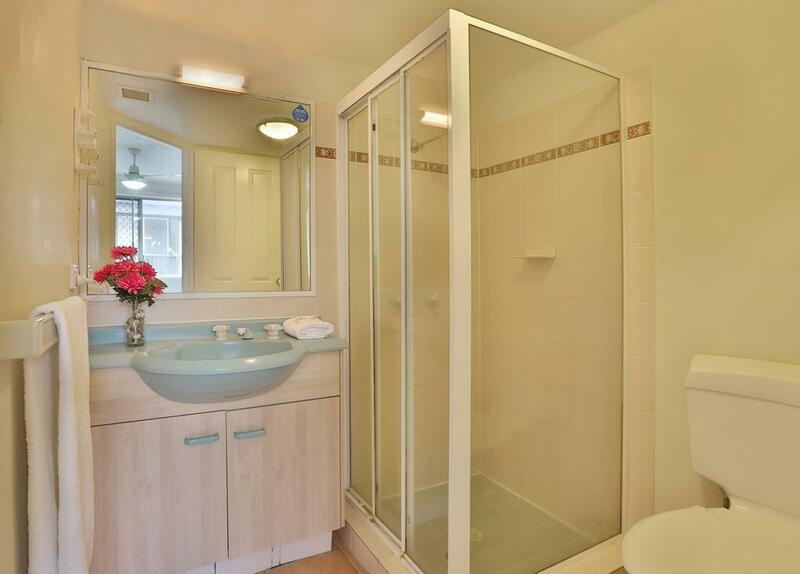 Location is really good, just about 2 blocks away from Surfers Paradise beaches. The place is good, but the building is a bit old. Great size if you’re traveling with big group of people. The thing is just they don’t provide dishwashing liquid, so it’s a bit inconvinient. Other than that everything is good. when we came there is 1 towel that is used by previous incumbent that still in our room. The hairdryer is broken and some problem we already inform the reception but still not fixed when we come home to hotel. The location is perfect and the staff comm is good. We arrived late and the staff at K resort called to make sure I had the instructions to pick up our key. Room was clean and location was good. Family had a great time watching the Commonwealth games and the location was perfect to where the bus stop was for the Commonwealth games pick up. The kids enjoyed the pool area too. Some equipments were broken in our apartment and the front dest could not fix it during our stay. The time of using the swimming pool is also too limited. Excellen value for money. Very convenient location, spacious apartmemts, very clean and secure, nice, friendly amd helpful service - highly recommend!! We arrived late in Gold Coast, upon check in - we realized we was assigned to the highest level (3rd level apartment) and there is no lift access, we have to lug our luggage all the way up and down - this was not highlighted when we booked the apartment. Imagine if it family with young kids, elderly or handicapped? Once we enter the apartment unit 42 at level 3, the toilet lights was faulty and they took 2 days to get the light's replaced, dish washer was faulty, no heater at night and our free parking lot was occupied by others. When we reported our parking issue, we was told that we have to bear with it as there is nothing they can do and assigned another parking lot to us. If we park in different lot other than the one that is assigned to us, we will risk our car being tow away - imagine all the hassle we had. I will never book this resort again - simply horrendous. No free WiFi made us have a bad feeling. 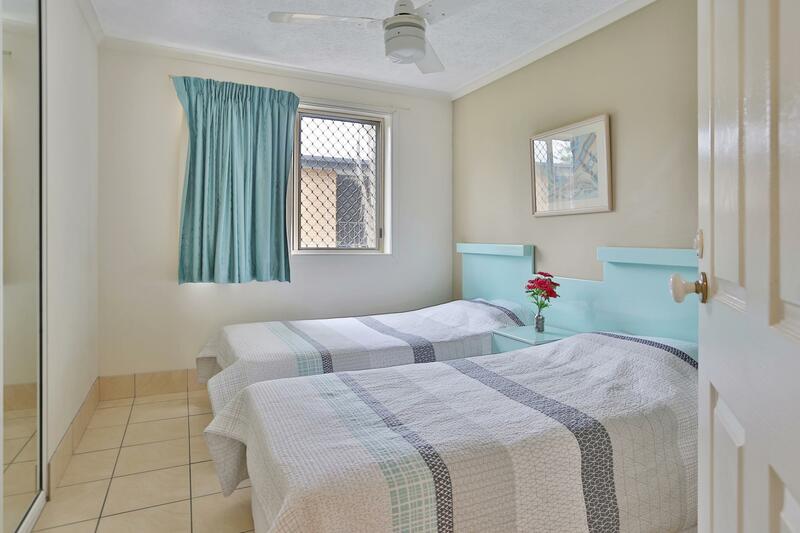 We love the location, walking distance to the Surfers Paradise and main city centre. Very close to the supermarket Coles and Woolworth that we frequent every night easily. Jacuzzi tap got problem cannot close it tight after informed they fixed it. Nice kitchen facilities but somehow so lacking of tableware, we did not find any bowls for soup noodle and also did not have dinner plate. We only found them on the last night of stay out of our 5 nights there. Provided 2 cutting knifes but blunt very hard for cutting. If they could improve the kitchen tableware it will be awesome. I like the swimming pool view. Suitable for family stay. I Will go back one day really nice resort tickets all the boxes.